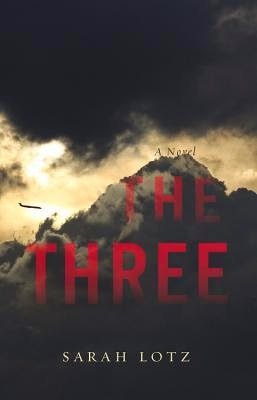 Sarah Lotz creates a hybrid novel of science fiction, twisted historical fiction, journalism, and paranormal thriller in her book The Three. In the year 2012 the world is devastated when four commuter planes crash within the same day, on completely different continents. At first everyone believes that terrorists are behind the crashes, but "facing global panic" investigators are under pressure to find out exactly who or what was behind it all. They are able to rule out terrorism fairly quickly and there doesn't appear to be any correlation at all between any of the crashes, except of course the survivors. Out of the four plane crashes there remain only three survivors and they are all children around the age of seven, journalists subsequently name them "The Three." The children become celebrities of a sort, both immortalized by the fact that they survived when no one else did and feared because of what that fact could mean. The attention they gain as such celebrities becomes more than simple awe, many become obsessed with understanding why they survived when they apparently shouldn't have. Several charismatic evangelical ministers in the United States begin to pontificate the belief that these children are harbingers of the apocalypse and many people believe them. The children are all different somehow than before the crashes, maybe because of shock or stress, but as the children's behavior continues to become more and more odd, even their guardians begin to question why and how they survived. One journalist in particular, Elspeth Martins, is drawn to the events and the people involved. Maybe she is the only one able to find out what really happened when the four planes crashed. The bulk of the book deals with first person accounts, not from the surviving three children themselves, but from their guardians and others that come in contact with them or have particularly interesting information about the events surrounding the crashes. Elspeth Martin's findings and interviews are put together in a fictional journalistic-style book. Her book becomes one of the most popular books published at the time because she digs deep and is able to uncover things that no one else does about these crashes and the people involved. She also has a flare for the dramatic and is able to put her findings together in a very thrilling way. I loved the way Lotz organized this book, she did begin everything with a first hand account from the perspective of someone who dies in one of the plane crashes. She then goes on to produce Elspeth's book and the interview/journalism style is intriguing. Lotz writes extremely diverse characters, from very different cultures and socioeconomic backgrounds who are convincing. I felt the emotions these shocked and scared people felt, even though I have no idea what it is like to experience what they experienced. Even now I am talking about these fictional characters as though they are real, because of the way she wrote their accounts felt real. After Elspeth's book is done there is an additional story from Elspeth's perspective, her life after her book is published and everyone has read it. The story isn't finished, because she still doesn't know the truth about these children or these crashes and at first she thinks that's OK, she doesn't need to know. However, new information comes to light and even if the rest of the world will never know what was really behind the plane crashes, Elspeth and those who finish this book will. Not only did I love the characterization, but I loved the setting and creepy descriptions. I was kept up at night reading this book, because it was engaging, interesting, and I was sincerely scared. I was drawn into the thriller, paranormal angle and Lotz writes it with such matter-of-factness. Lotz also creates an alternate world, wherein these events in fact happened, and I think she is accurate in the ways she thinks people would react to such crashes happening. She gets at the core of what makes people feel fear, what people might feel in their final moments of life, and splays them open for everyone to internalize. There are only two real reasons I didn't give this book the full five stars, one of them was the ending (the reason the children are the way they are and the real explanation behind their survival), it wasn't as convincing to me as the rest of the book and I felt disappointed. The second reason is that I wanted more from some characters that were left stiflingly silent, I don't want to give too much away, but there were simply some people who I thought needed to be heard, but apparently Elspeth Martins and Sarah Lotz did not. Overall I highly recommend this book to anyone who enjoys thrillers, creepy stories, mysteries, or just plain amazing writing, creating a fascinating story from multiple points of view. I can definitely see myself reading it again, but I do recommend reading it in a well lit room when you are not home alone, you should also expect to be challenged in your beliefs about the world and politics, whether they be liberal or conservative. The crash I found most interesting in this book took place on Mount Fuji, Japan, and the characters surrounding it. I think that if you have not already, you should participate or create your own Japanese tea ceremony. The tea they use for these ceremonies is called 'matcha', only high quality green tea leaves are used for matcha, such leaves are dried and milled into a fine powder which is then mixed with hot water. Here is another source about Japanese tea ceremonies. The reason I recommend participating in this ceremony and trying this tea while reading, or after reading, this book is because it will open your mind to a different culture. That is what Lotz's book does in many ways, it opened my mind to many different people and ways of thinking, making me question my assumptions about what is fact and what is fiction, as well as why people think the way they think. I hope you enjoy it as much as I did!